Chayil Garnett has made a statement thus far this year with a great performance at the Adidas 3 Stripe Camp in Orlando, where he earned MVP honors as well as picking up an invitation to the Elite 11 Camp regionals on the heels of the performance. The Elite 11 Camps have produced countless elite quarterbacks, with the two stars of the National Championship game in Jake Fromm and Tua Tagovailoa who attended the camp two years ago. Garnett is looking forward to the opportunity. Garnett cites playing in Polk County as a big reason for his ability to handle tough situations. Garnett threw for 1,582 yards with 16 TD’s to 3 INT’s last year as a sophomore along with completing 65 percent of his passes. 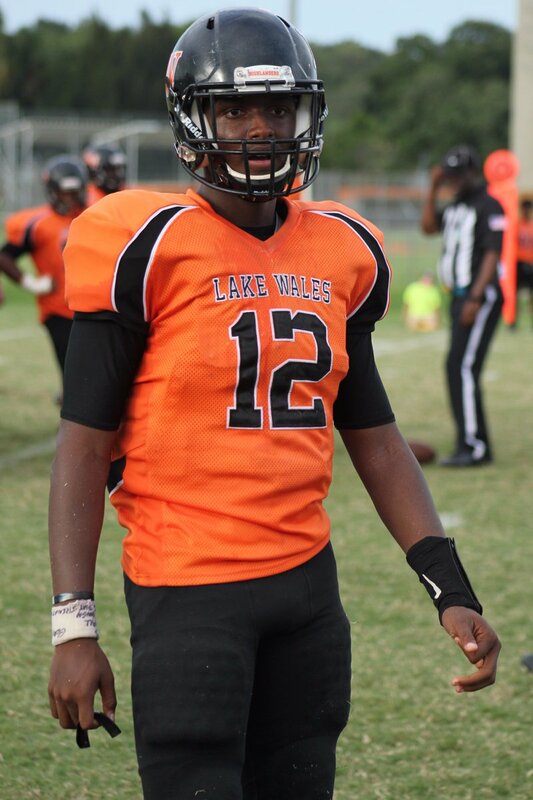 He helped to lead Lake Wales to an 8-3 record. Garnett received an offer from Southern Miss recently, and he said that there have been multiple schools that have reached out. When he was asked about what he’s looking for in a program, Garnett said he’s looking at the school’s ability to be patient with him in the decision. Garnett said there are two people in his life currently that are working to keep him grounded. Garnet feels that being alongside other top athletes in his class at Lake Wales, such as Gervon Dexter, only helps him strive to be better. Being as prepared as possible, and being a leader is key for a quarterback, and Garnett said that he takes that personally, on and off the field. There’s a couple goals that Garnett wants to accomplish moving forward, and he states them very clearly.